She was an all-American girl who became a legend of unparalleled stature. She inspired the adoration of millions, and her life has beguiled generations of fans and fellow artists. 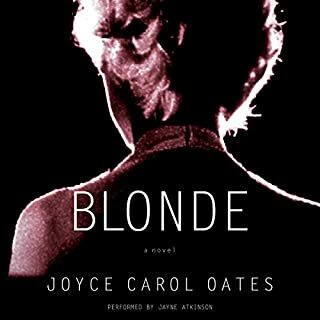 The story of Norma Jeane Baker, better known by her studio name, Marilyn Monroe, has been dissected for more than three decades, but never has it been captured in a narrative as breathtaking and transforming as Blonde. I hate when publishers only support a summary of the book or an "abridged" version. It's offensive to people with reading disorders who will not receive the full benefit of the book.